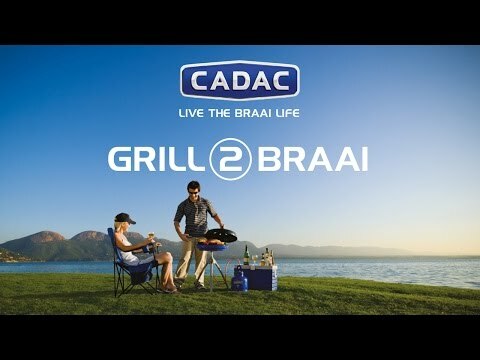 The Grill 2 Braai has a two-sided light-weight aluminium non-stick grill plate; one ribbed half and one flat half to allow for a combination of cooking options. Grill fish, meat, chicken or vegetables on the one side, while preparing pancakes, eggs and bacon, or a stir fry on the other. Used with the pot stand, the BBQ acts as a cooker to boil water and accomodate pots upto 30cm. It works directly off a gas cylinder (not included). The light-weight pack-away tripod is designed for stability.